GENEVA, Switzerland, December 1, 2009 (ENS) – Rhino poaching in both Africa and Asia is increasing, finds a report issued today by the International Union for the Conservation of Nature, IUCN and the wildlife trade monitoring network TRAFFIC. The trade is being driven by Asian demand for rhinocerus horns and the report documents killing by sophisticated poachers, who now are using veterinary drugs, poison, crossbows and high caliber weapons to kill rhinos. The report documents a decline in law enforcement effectiveness and an increase in poaching intensity in Africa. Over the past three years, 95 percent of the poaching in Africa has occurred in Zimbabwe and South Africa, according to the new data. “These two nations collectively form the epicentre of an unrelenting poaching crisis in southern Africa,” said Tom Milliken of TRAFFIC, a co-author of the report. The situation is most serious in Zimbabwe where rhino numbers are now declining and the conviction rate for rhino crimes is only three percent. Despite the introduction of a number of new measures, poaching and illicit horn trade in South Africa also has increased, investigators found. The IUCN’s rhino specialist groups and TRAFFIC were requested to produce the report by the Convention on International Trade in Endangered Species, CITES. The report was submitted to the CITES Secretariat ahead of its 15th meeting of the Conference of the Parties scheduled for March in Doha, Qatar. Rhino horns are made of keratin, the same type of protein that makes up human hair and fingernails and lack a bony core. 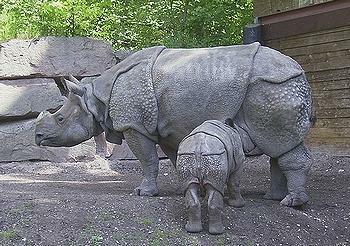 Both African species and the Sumatran rhinos have two horns, while the Indian and Javan rhinos have a single horn. Rhinoceros horns are used in traditional Asian medicine where they are prescribed for fevers and convulsions. They are also prized as dagger handles in Yemen and Oman. Most rhino horns leaving southern Africa are destined for medicinal markets in southeast and east Asia, especially Vietnam, and also China. The report highlights Vietnam as a country of particular concern  noting that Vietnamese nationals operating in South Africa have recently been identified in rhino crime investigations. In addition, concern has been expressed about the status of Vietnam’s single Javan rhino population. 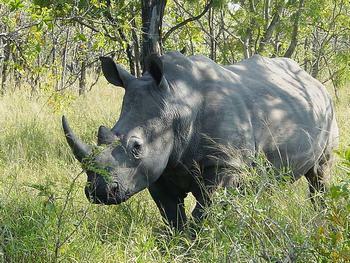 There is some good news in the report, which documents that in some areas rhino populations are increasing. African continental rhino numbers were updated at the African Rhino Specialist Group meeting in May 2008, with estimates reflecting the population status of Africa’s rhinos as of December 2007. Despite high levels of poaching, both rhino species in Africa have continued to increase in the wild, with white rhino, Ceratotherium simum, up to 17,475 and the black rhino, Diceros bicornis, up to 4,230 animals. “Where there is political will, dedicated conservation programs and good law enforcement, rhino numbers have increased in both Africa and Asia,” said Dr. Richard Emslie, scientific officer of IUCN’s African Rhino Specialist Group and a co-author of the report. 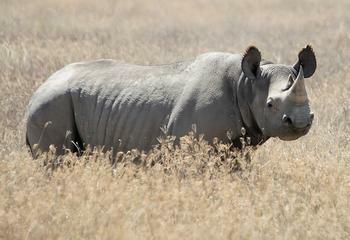 Asian rhinos have not fared so well. A total of about 2,800 animals of all species remain in the wild in Asian countries. The report raises concerns over the low and declining numbers as well as the uncertain status of some of the Sumatran and Javan rhino populations in Malaysia, Indonesia and Vietnam. The greater one-horned rhino, Rhinoceros unicornis, now scattered in isolated populations primarily in the eastern part of its former range, is currently listed as Vulnerable on the IUCN Red List of Threatened Species. In India, the four populations of Assam comprise the stronghold for the species (92.4%), with two other groups in West Bengal and one in Uttar Pradesh. Increasing numbers from 2006 to 2009 are due to the largest population at Kaziranga National Park, which has grown by an average of 3.4 percent a year. The park now holds 2,048 rhino. The Javan rhino, Rhinoceros sondaicus, is now only found in two populations in the wild and is classed as Critically Endangered on the IUCN Red List. Ujung Kulon National Park in west Java, Indonesia currently conserves between 38 and 44 rhinos based on a 2008 census and is the only population of this subspecies. “Worryingly,” the report states, “this population has been relatively stable for many years but may now be in decline owing to overstocking and/or competition with Banteng, a wild bovine.” This national park also is vulnerable to potential volcanic activity and tsunami destruction. A forest park in southern Vietnam may hold the last five animals of another Javan rhino subspecies, R.s. annsmiticus, but the number of camera trap photos obtained in this area since 1999 has been steadily declining, with no reported sightings or photos over the last three years. The Sumatran rhino, Dicerorhinus sumatrensis, is restricted to a few isolated populations in Malaysia and Indonesia, and is listed as Critically Endangered on the IUCN Red List. No confirmed records are available that indicate that any Sumatran rhino remain in Myanmar, Thailand or Cambodia. Information on rhino horn trade was provided to the Asian Rhino Specialist Group by law enforcement personnel based upon interrogations of arrested poachers and traders. The major trade route for horns is from Assam to Kathmandu, Nepal, via Siliguri or Kakarbhita, and then on to Tibet. The ultimate destination for this horn is believed to be markets in China. The data collection and report writing were partially funded by the global conservation organization WWF and its partners. Still, the report itself points out, the full costs of reporting were not covered, and the issue of future funding for the reporting organizations to fulfil their CITES mandate has yet to be addressed.